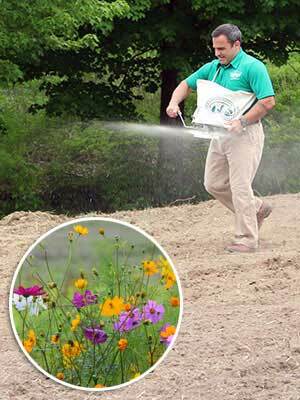 Restore habitat and strengthen ecosystems with native wildflowers. Native plants are well-adapted to local growing conditions and can handle extreme swings in weather. 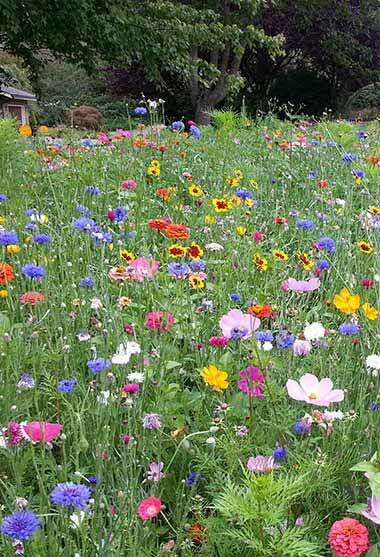 Save Up to 20% on Native Wildflowers and get 10,000 free wildflower seeds with all seed orders. Our approach is simple ‐ for years we have offered gardeners only the best wildflower seeds, flower bulbs, perennial plants and flowers, vegetable seeds and flower seed packets ‐ the ones we grow in our own gardens. We stand ready to help you grow with confidence! Easy to grow in most climates. Blooms come back year after year. Needs less care over time. Most tolerant of extreme weather. A must-have for any wildflower meadow or garden, this easy-to-grow annual delights with bright blooms throughout the summer season. 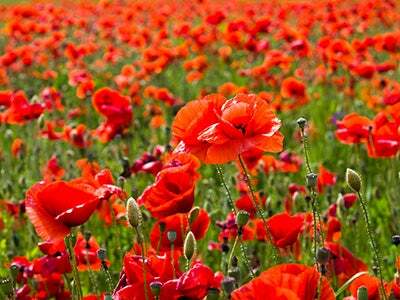 Deer resistant and attractive to pollinators, Red Poppies can be planted in any region of the US. 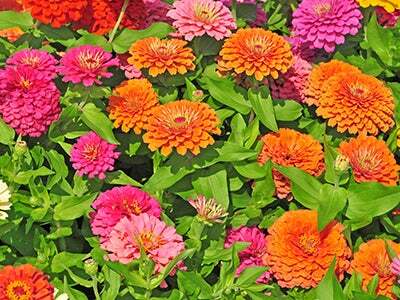 Zinnias are one of the easiest annual plants to grow from seed and they come in a rainbow of colors, blooming all season long until the frost. Their vivid blooms are the best-kept secret for attracting monarchs and other butterflies to the garden. 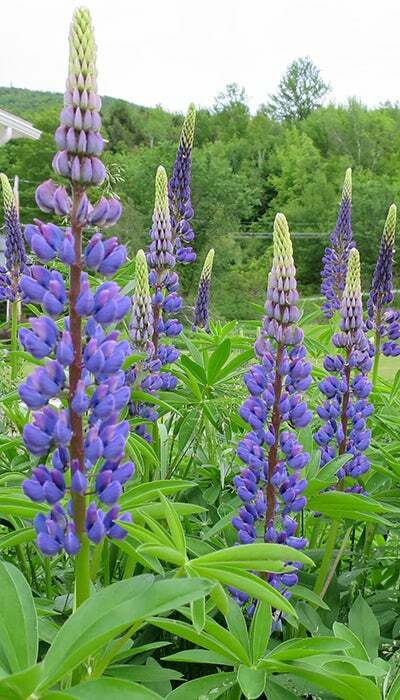 A field of Lupine is an amazing sight, with spiky blooms of saturated indigo-blue that last from late spring to summer. Extremely easy to grow and deer resistant, this perennial flower blooms year after year. Whether you have acres of land or a small suburban garden, hungry deer can prove to be a nuisance. The good news is that they don't love the taste of every flower; in fact, there are plenty of gorgeous blooms they won't touch. 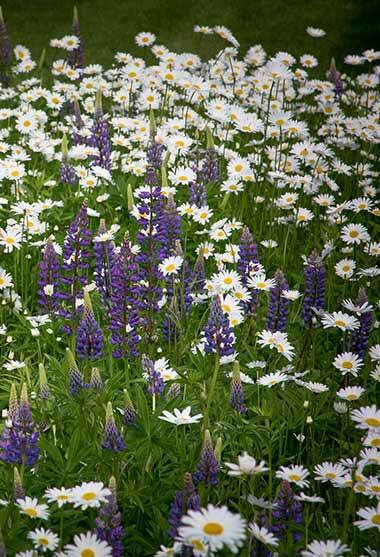 We've put together a list of beautiful, deer-resistant wildflowers for you to plant. 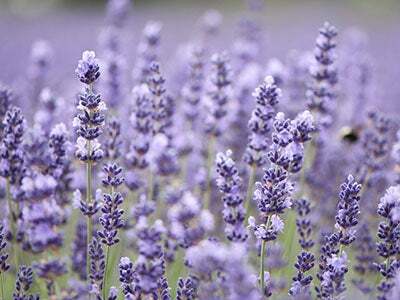 Lavender evokes images of fields in France, soaps and perfumes. 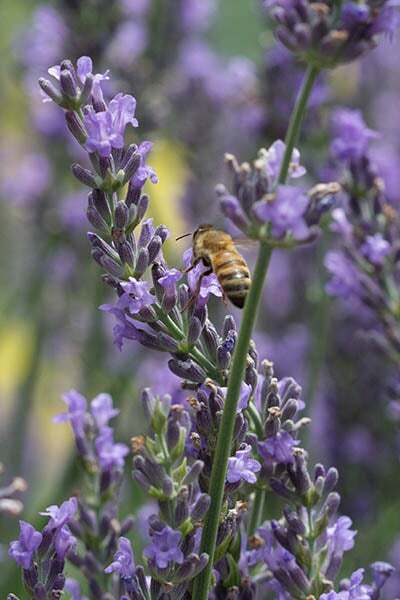 While lavender does have many cosmetic and culinary uses, it's also an outstanding perennial flower and a great plant to attract butterflies and bees to your garden. 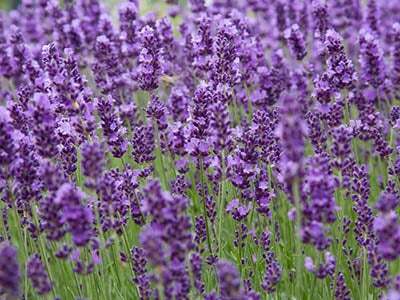 Excellent for both fresh and dried bouquets, this lavender attracts bees and butterflies but repels deer and rabbits. Tall, waving flower spikes last and last, and will bloom a second time after a mid-season harvest. 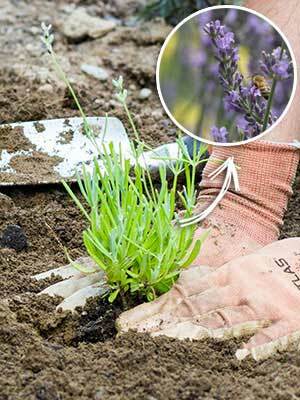 Exceptionally tolerant of both high heat and harsh winter, this easy-to-grow lavender even endures humidity. 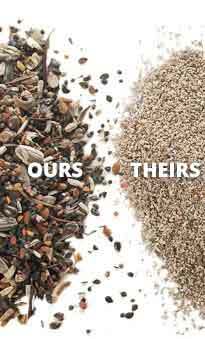 All of the seed we carry at American Meadows is 100% pure, non-GMO, neonicotinoid-free and guaranteed to grow. 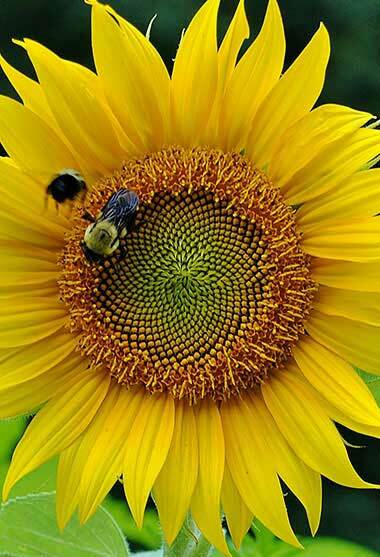 There's simply no flower you can grow that will reward you with more blooms for as little work as the Dahlia. You can find them in a variety of sizes, unique colors, and unexpected flower shapes. Lavender is widely celebrated for its beauty and fragrance, but it also has a true knack for attracting butterflies and bees. Though it prefers gritty soil and warm, dry air, Lavender can now be grown successfully almost anywhere. Native and fragrant, Milkweeds are a pollinator favorite and the sole host plant for Monarch Butterflies. 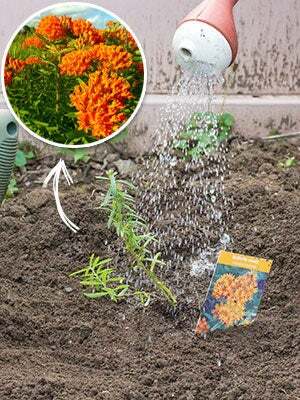 By choosing the right variety for your growing conditions and respecting its long tap root, you can grow milkweed in spades. No matter your soil, climate, or level of experience, Wildflowers are incredibly easy to grow! We’ll walk you through each easy step, with photos and videos at the ready in case you need more direction. Spectacular summertime Dahlias draw loads of praise for the gardener, as long as a few simple tricks are followed. 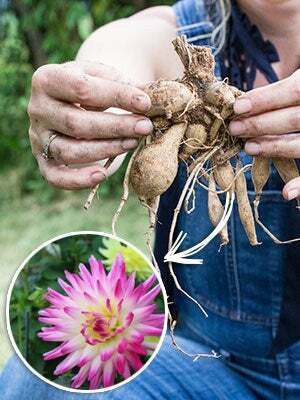 We’ll teach you when and how to plant, which varieties need staking, and how to overwinter tubers at season’s end.